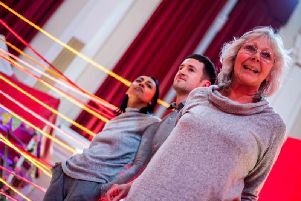 A new community theatre group opens their doors tonight to welcome new members. After an extremely successful murder mystery, Bispham Castaways are holding the open evening from 8pm to 9.30pm at Bispham Community Centre to welcome anyone interested in being involved. There will be lots of information available with the chance to meet the trustees, enjoy reading the Mr Scrooge pantomime script planned for their Christmas event, take a backstage tour and snack on some cheese and wine. If you cannot attend the open evening, please contact them for further information at bispham.castaways@gmail.com. And you can ‘like’ Bispham Castaways on Facebook to keep up to date with all their events.